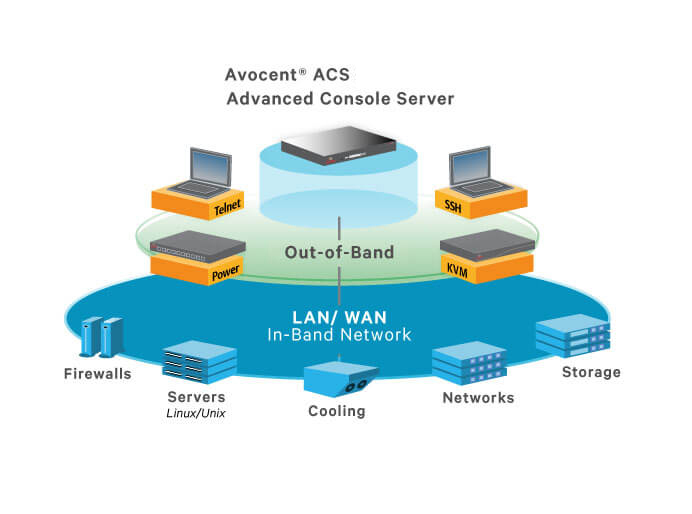 The Avocent ACS8016SAC Single-AC advanced console server series offers upgraded and advanced features that deliver scalable and high performance solutions for IT administrators. 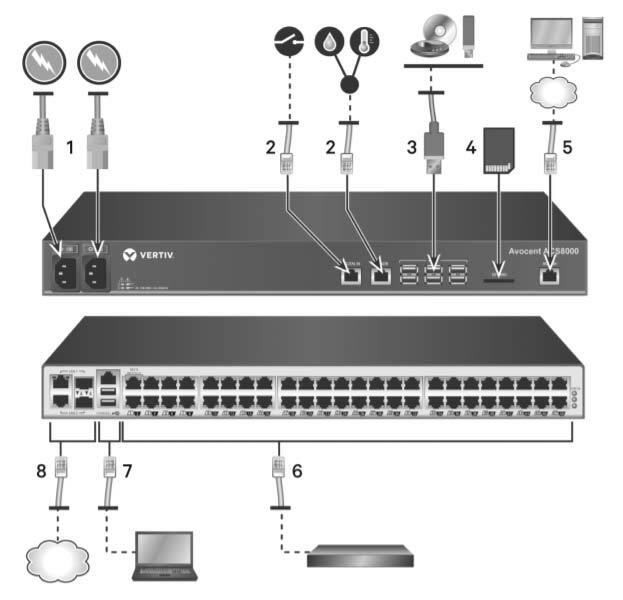 The console server features a dual ARM core processor platform with 16GB of flash memory, dual gigabit-Ethernet ports and dual gigabit-Fiber ports for redundancy and optional built-in modem. Question: How do I upgrade ACS via the GUI? From www.VertivCo.com, browse to the product updates section and find the firmware for your console system. Save the new firmware to a server accessible via FTP, SFTP or SCP, or to your desktop. From the sidebar of the console system's web UI, click System Tools, then click Upgrade Firmware. Download the file from your desktop by selecting My Computer. a. Type the filename for the new firmware or click Browse to open a window and browse to the file. 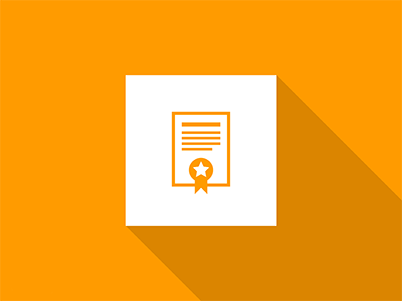 Download the file from the server you selected in step 2.
a. Click the radio button next to Remote Server, then use the drop-down menu to select the protocol of the server where you saved the file. b. Enter the IP address for the server where the firmware is saved in the appropriate field. c. Enter the username and password for the server in the appropriate fields. d. Enter the file directory where the firmware is saved and the filename for the firmware in the appropriate fields. Click Download. The console system will download the firmware from the specified site and will display a message when the download is complete. Once the new firmware is installed, reboot the console system. 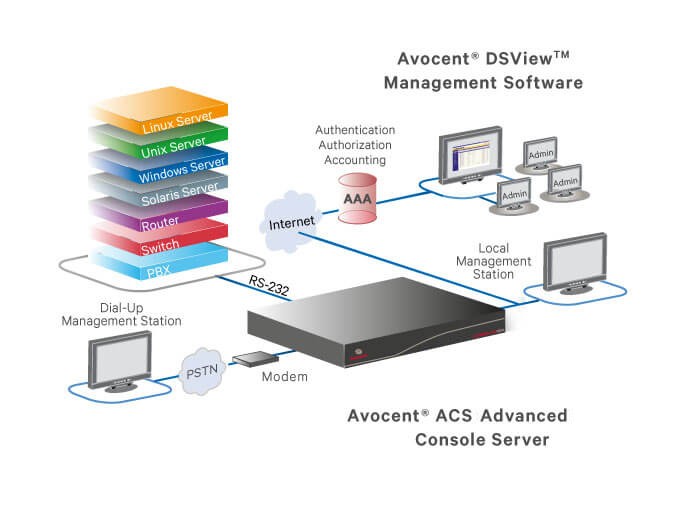 For more information on upgrading / backing up the console, please refer to the Avocent ACS 8000 Manual / User Guide.